The root meaning of the word mindfulness is connected with careful observation. Mindfulness is being present with something in an open space, free of the mental activity that obscures our insight and awareness. Awareness can be expanded through a variety of well-known practices, such as yoga, meditation, and even photography. Similar to yoga and meditation, photography is a readily available means for engaging the world with increased concentration and presence. It offers the possibility of a heightened consciousness for those who are willing to use it as a discipline for deepening their understanding of the experience in which they are immersed. Beyond being present in the moment and holding a camera, this way of photographing demands nothing from a person or the photographed object. In fact, some suggest that simply holding a camera has the potential to induce a deep sense of awareness. Unlike conventional approaches to photography, which emphasize the subject and object dichotomy, mindful photography sees beyond that which is “looked at”. The focus is clear seeing and personal resonance. The process of mindful photography involves the act of receiving, letting go, and learning to wait. Letting go of thinking, judging, self-evaluation, clinging and rejecting, and accepting whatever comes, good or bad. The practice invites a deeper connection with the self, with the world, and ones experience. Seeing (rather than just look at or perceive) the world with clear eyes can gradually draw people closer to a state of awareness, acceptance, and meaning making. 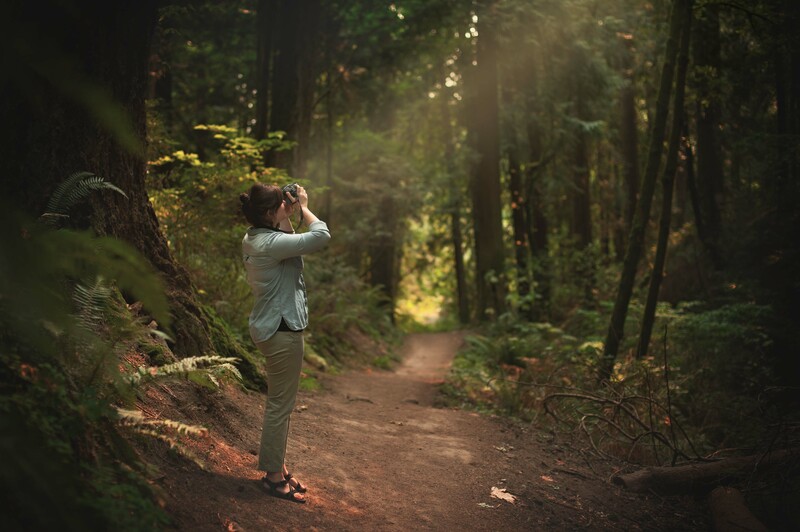 Dr. Thomas facilitates Mindful Photography Reflection Groups that offer a safe and accessible space to creatively explore, express, and share one’s experience through the practice of mindful photography and journal writing. Participants have the opportunity to engage in an open discussion and reflect on their experience with other participants in the group. Participants learn how a photographic image might act as a symbol or metaphor for something that is beyond the subject photographed. And, how a photograph can serve as a record of that very moment, experience, and event of something in front of the camera, a spontaneous symbol. Through the use of the camera participants learn to see in ways that can enhance perception and creativity, while grounding them through life transitions and experiences. They are invited to reflect on the qualities of their own unique journey and share at their comfort level. Through learning, practicing and sharing in this process participants gain confidence, awareness, and acceptance, while increasing their capacity to draw personal meaning through experience. Check out the following podcasts featuring Dr. Jessica Thomas as she discusses her work on the practice of mindful photography and grief. This image was created by Janet while on her mindful photo walk reflecting on her role as a caregiver for her husband with ALS.